You’ve heard the benefits of blogging. I’m sure of it. But just in case you’ve forgotten, let me remind you. This Hubspot marketing report suggests that companies that blog attract 67% more leads than companies that do not. I don’t know about you, but any marketing activity that can get you 67% more leads is worth looking into. is that it is extremely easy to set one up. But a blog is extremely difficult to maintain. In a matter of hours, a company could install WordPress, have a designer customize a theme, and be up and running. If you have some web development skills, you might be thinking about building your new blog with plain HTML, but we would recommend sticking with WordPress. It’s much easier to add functionality via WP plugins or change design with WP themes down the road. It gives you a lot of flexibility which you will need once your blog gets traction. Congratulations! You have a blog. You immediately begin your first post. A few hours later, you hit publish. And wait for the leads to roll in. One thing you should probably know about your blog post: yours is just one of 2 million that will be published that day. What people don’t tell you about a blog is that not only do you need one, you need to blog consistently for several months, and you need to make sure your posts stand above the noise of a very busy internet. About a year ago, the folks at Buzzsumo analyzed 100 million blog posts and articles. 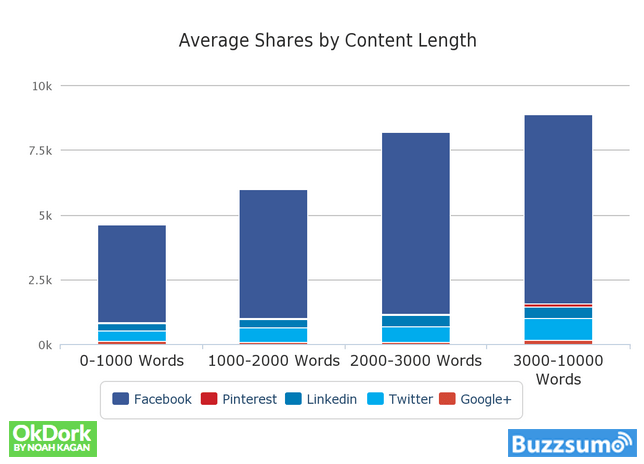 Buzzsumo looked for correlations between a post that goes viral, and a post that dies. The first statistic cited was the longer the blog post, the more attention and shares the blog post will get. In the world of blogging and online marketing, attention and shares leads to leads and sales. But who has time to write a 3,000 word — or even a 2,000 word blog post? Sure, it’s possible to draft a high quality post in an hour. But, you have a product to build, customers to service, invoices to chase down. Chances are you don’t have the 20 hours necessary to write one really detailed 2,000 word blog post… and promote it to get the audience you need. So in this post, we’re going to show you how to do all of this with approximately 2 hours of your time. The secret, of course, is outsourcing. Bookmark our article. Keep our tips at hand as a step by step outline to create and promote your blog post. Generate attention, shares, leads, and ultimately sales. So, without further ado, let’s jump in. We sort of lucked into success with our last topic. We chose to implement this outsourcing model based on a post where we show startups how to get test users for their mobile application. Because it turned out that choosing a topic that where you can demonstrate a task, or a series of tasks, makes it much easier to create talking points for your video (step 2) and eventually outsource the writing. Instead of worrying about what you’re going to say, you can simply talk through the steps you’re taking to complete your task. If you were to read this post, you would see 17 ways to implement various tools in order to build your email list. As you were going through each of the tools, you would simply talk through how to set them up, as you’re creating your video. Recipes would work extremely well for a blog post that needs to be outsourced. As you’re cooking the food, you would simply describe the process by which you’re making it. Suppose for a minute that you have absolutely no ideas for your blog post, there are several tools that can help you create the perfect topic and headline. If you have absolutely no idea what to write about, Hubspot’s Topic Analyzer is a free tool that will come up with ideas for you. 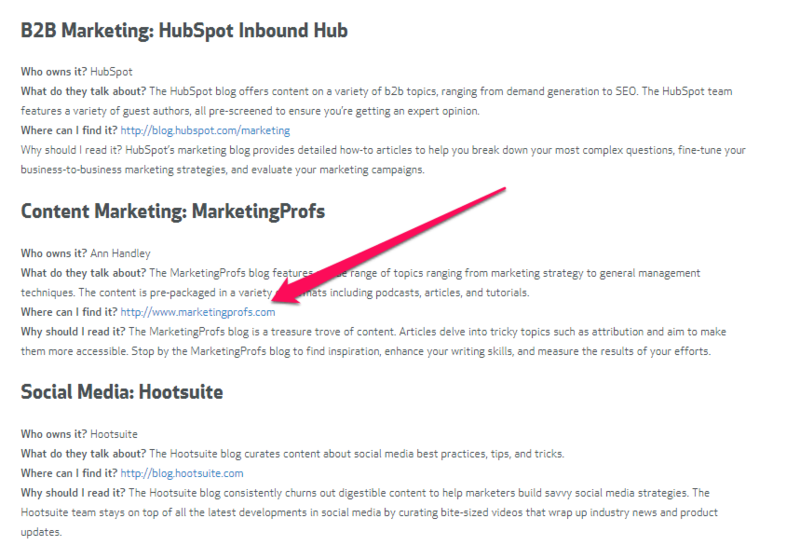 Simply enter three nouns into the form on the page, and Hubspot’s algorithm will produce five headlines for free. This is a free tool from CoSchedule that will help you write better headlines. The Headline Analyzer will score your overall headline quality and rate its ability to result in social shares, increased traffic, and SEO value. If you’re looking to create a headline that will help you get more shares in social media, then you’re going to want to check out BuzzSumo. BuzzSumo will help you analyze what content performs best for any topic or competitor and help you find the key influencers to promote your content. In this section of the article, I’m going to show you how you can create a video similar to this one. While you aren’t going to script your video, you will want to have an outline for your talking points. Remember, we have chosen a topic that will allow you to talk through some sort of demonstrations. This makes it much easier to talk through your video. You don’t have to be the most eloquent speaker in order to create an effective video. Introduction: Why you need users to test your mobile app. TaskRabbit: and other local marketplaces where you can find users in your neighborhood. And that’s really it. Now all you have to do is show people how to use each of these platforms, and you have the makings of a very compelling blog post. Microphone: Having a good microphone is critical to the success of your video. As you will see, you’re going to give your video to a transcriber and a writer who will need to clearly understand what it is you’re trying to say. in the video above, I used the mac internal microphone. However, if it’s not so quiet, I will use an ordinary USB headset. Camera: If you’re demonstrating how to use online tools, then you may prefer not to video yourself. However, if you like to go on camera, plan to repurpose the video, or are demonstrating a physical activity (cooking, fitness), then you will need a decent camera to clearly show what you’re demonstrating. In my video, I simply used my Mac’s internal camera. Before distributing your movie to your writer, you may want to edit it. There may be a time where you misspoke, and you want to make sure that is removed from the video. Remember, you’re simply getting people to expand on your ideas. If you’re ideas are off, or wrong, then you will have a blog post that is wrong. A powerful, yet easy-to-use screen recorder, Camtasia helps you create more professional videos without having to be a video pro. Easily record your screen movements and actions, or import HD video from a camera or other source. Customize and edit content both on Mac and Windows platforms, and share your videos with viewers on nearly any device. From the same company as Camtasia, Screencast is a solution for business and academic professionals looking to manage and share videos, images, documents, or anything else online. Screencast.com’s high-quality content-hosting gives you complete control over how, when and to whom your content is distributed. Browse your clips more easily, instantly share your favorite moments, and create beautiful HD movies and Hollywood‑style trailers. And when you’re ready to premiere on all your devices, iMovie Theater rolls out the red carpet. With over 10,000 tv ad quality videos in their database, Design Wizard is a great way to increase the production value of your video. This will allow you to put the video that you create on your blog and increase the value of your post. Now that you have your video, you should upload it to YouTube. This will make it easier to share with both your writer and the person you hire to transcribe your video (more on this in the next section). 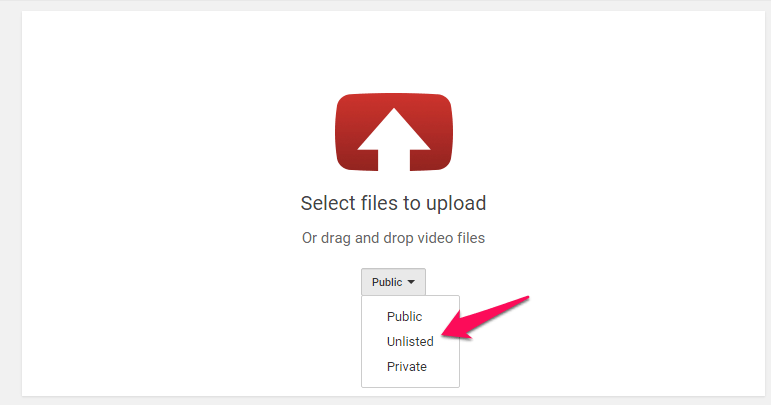 When you upload your video, you’ll have the opportunity to make it unlisted. This will allow you to host it on YouTube without the public seeing it. I would highly recommend this setting as I’m sure your video isn’t professionally done. Finally, before you hire a writer, you first want to hire someone on Fiverr to transcribe your video. This will make writing your post much easier for your writer, take a lot less time, and ultimately cost you a lot less money. I find that you can transcribe a 7 minute video for between $5 and $10. Instead of having to waste valuable time transcribing your video, your writer can spend his/her time giving the transcription structure, adding missing information, and create a great blog post. Now that you have your video and it is completely transcribed, you’re ready to find yourself someone to write the blog post for you. I know this sounds like a lot of work. But trust me, it’s easier than posting on a job site and screening out 50 different candidates to find the one you want to work with. You don’t have to screen the quality of their work as you will select them based directly on if you like their articles or not. Next, I would click on any of those links to bring up a list of actual blogs and click on the one that sounds most like what you’re looking for. Then I would read the last 20 blog posts looking for the one that most resonates with me and take note of who wrote the post. I would repeat this process until I’ve found 5 bloggers that I’d want to work with. Now that you’ve found 5 bloggers that you’d like to have write your post, you need to reach out to them. I just read your post on (name of the blog). I greatly enjoyed how you were able to break down a fairly complex topic and make it sound so simple. I am wondering if you’d be interested in a paid ghost writing gig for my site (url of your site). This process will be easier than creating a job posting in a marketplace (see next section), but it may also be more expensive. You’re hiring extremely successful bloggers who are proven to produce only “A-level” content. 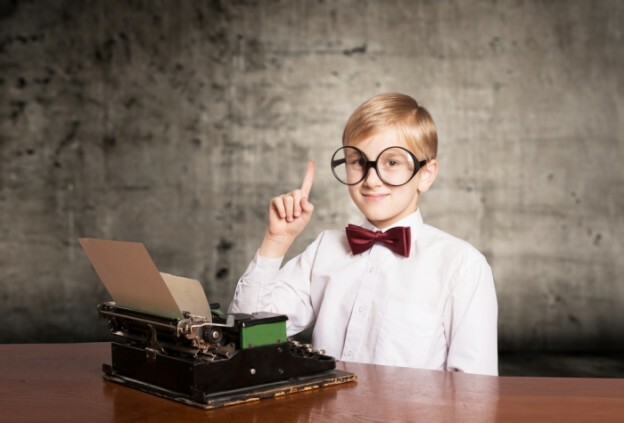 If for some reason you’d prefer to use a service to find a writer for you, there are a multitude of online options that will provide you with a wide array of candidates willing to write your post. By far the most popular online outsourcing marketplace, Upwork formed when online outsourcing powerhouses Odesk and Elance merged. Uploading a job to Upwork will net you a large list of writers of varied talent. You post a job and freelancers make bids to complete. You can then compare and select bidders. You pay once you’re satisfied with the work. Depending on your membership type, you will be charged fees once a freelancer accepts your offer. Freelancer.com is a global outsourcing marketplace very similar in function to Upwork, which allows potential employers to post jobs that freelancers can then bid to complete. 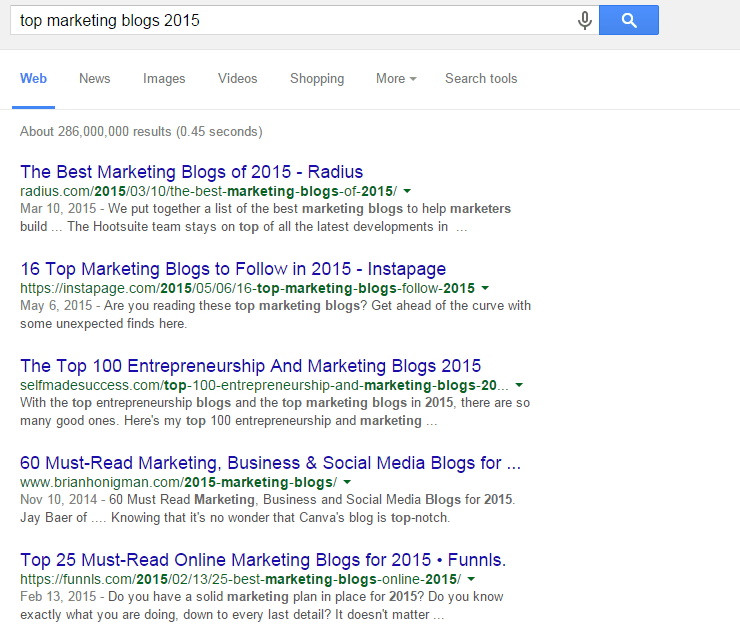 Need a new blog post? How about an ebook, email, or even a press release written for your business? Then perhaps Textbroker can help. Textbroker is a marketplace designed specifically for businesses who need custom content. With Textbroker Self-Service, you determine the quality level of the content you buy as well as its cost. We are looking for a part time content marketing geek. This will involve writing one blog post and sending one email per week. There will be a 1 month training period for the job where you will learn everything about how our product works and learn how to answer any questions customers have about our product. You’ve got your writer, you’ve got your video, and you’ve got your transcript. All you have to do is sit back, relax, and get your blog post written. Once your post has been written, you might want to have an extra set of eyes take a look at it to make sure all the grammar and spelling are correct. With this service, you get to choose your own personal freelance editor to edit your work based on his or her qualifications, expertise, and skills, and benefit from our strict deadlines and affordable fees. Your 2,000 word post will be edited in approximately 4 hours and cost $80. They can proofread and edit your blog post in as little as 3 hours. They have a 100% guarantee and will redo your document until it’s perfect. And finally, they will give you a free sample so you can see if you like working with them. People trust ProofreadingPal to ensure that their documents are grammatically sound. That’s why every document you submit to ProofreadingPal is proofread and edited by two of our highly skilled proofreaders; our unique two-editor approach ensures the utmost accuracy. Our proofreading staff is composed of experienced, detail-oriented individuals, many of whom have their master’s degrees or are pursuing their PhDs. We stand by our service with a 100% customer satisfaction guarantee. A 2,000 word article with a 48 hour turnaround time will cost $64. This is a software that works similar to the grammar check in your traditional word processor. While it will detect more errors than Microsoft Word or Google Docs, the reviews are mediocre at best. However, it is a fairly cheap option if you just need a bit more confidence in your post before you hit publish. Let’s say you don’t want to spend a lot of money on an editor. You’re in an industry where grammar doesn’t mean a whole lot, and you don’t need someone with extremely specific expertise. Then Fiverr is your answer. I’ve used it quite a bit for editing services and the work produced is more than adequate. You’ve just spent a considerable amount of money making sure that you have an amazing blog post to publish to your site. Unfortunately, there is a myth that is perpetuating the blogosphere that all you have to do is publish great content, and people will automatically find it. Nothing can be further from the truth. In order to get people to read your post, you need a plan to promote it. Here are a few ideas on how you can get people to read your blog post so you can eventually generate leads and sales. This is a no brainer. However, if you want the best results, make sure you structure your post to fit the appropriate channel. For instance, you’ll share photos on Instagram. You’ll need a photo and text Twitter, and Facebook. And you’ll need an outline for Google+. Share on communities and groups. Not only do we share our post to our fans and followers in various social media sites, we also share them in the groups that we belong to. These are Google+ communities, Linkedin groups, Facebook groups that we belong to and contribute to. (Note: Frequently spamming these groups can be frowned upon, so make sure that you have good karma within the group, and you don’t abuse this strategy by posting the same content over and over again.). All across the web, there are niche discussion forums that you can share your post to. For instance, if I was to share a marketing post, I would share it to the forum Inbound.org. Or if I were to share a post about startups, I would share it to Hacker News. We also leverage the Reddit community when we share our posts. We find the relevant subreddit within the community and submit them. Many times in your post, you’re going to mention tools, strategies, or even people in order to drive your point home. This is a great time to alert them so that they can share your post. Here is the exact email script I use to alert people I mention in my blog posts. I just wanted to say that we mentioned you in our latest blog post. So far, we’ve got 1,000 people reading it. Would you like to check it out? Syndicating your content to more popular sites will allow you to reach audiences that you wouldn’t have access to. Large sites are always looking for new content to share with their audiences. If your post is good enough, then you can share your post on these sites and send their readers back to your own site. For more information on this, check out this article on content syndication. One of the easiest places to syndicate your blog post is on LinkedIn Publisher because you already have a built-in audience with your followers and you can just republish the same content there (with a link back to the original post, of course). Finally, we will repurpose some of our best content. For instance, we will create a slide deck and publish it on slideshare. We have written an extensive hiring guide and shared it on Guides.co. And we even adapt our posts to create compelling emails for our subscribers to read. If all of this seems like a lot of work, it is. Some people have said that you should spend 20% of your time writing a post and 80% of your time promoting it. Luckily, you can hire a virtual assistant to help you with this. You can use either Upwork or Freelancer.com in order to find someone who specializes in social media. We are looking for a part time customer social media guru. This will involve managing FB, Twitter, LinkedIn. You will be responsible for updating daily. Getting through this entire post isn’t easy. If you decide to make blogging an integral part of your marketing effort, then understand that it requires a commitment on your part. You can’t expect to write one post have see a flood of leads pour into your business. Make sure that the title of your post lends itself to a video or demonstration that you can easily record. This will make it easier to get your point across to the person you hire to write the blog post. Finally, feel free to share this post if it helps you or your content marketing team. You can copy all of the scripts contained in this post. Use it. Enjoy it. And generate some leads through blogging. Greg Digneo writes for TimeDoctor.com, a time monitoring and productivity monitoring software designed for tracking hours and productivity of remote teams. 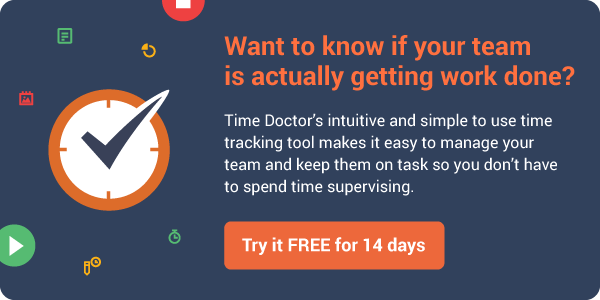 If you would like to see where you and your team are spending your time during work, then try Time Doctor FREE for 14 days. “Upwork: The largest marketplace to find virtual assistants” – ha-ha-ha! Love sense of humor, guys! 🙂 I’d certainly agree about the point. In general: it’s VERY useful article and links. I’m really looking for a ways to do blogging without writing them, so all these advises of yours are extremely handy for me! I just wanted to shoot a note and tell you that I really learned a lot from this post. While I am not promoting a business, I am promoting my blog, and hence trying to “sell” myself to readers. I do have some business ideas, and hopefully, the Lord willing, I will be able to get them up and running soon. I am bookmarking this post so that I will be able to read it more soon, as I know that each time I read it, I will gain something that I didn’t the previous time. Please thank your team for me. Thank you very much for reading. I appreciate it. Thanks for reading. I had a chance to check out the copy effect website. It’s a really great read. I think you’re well underway to building authority.